The Brain or The Heart? 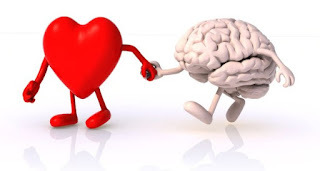 important, the brain or the heart?" • The occipital lobes contain the brain's visual processing system. The heart is a muscle that pumps blood and sends blood around the body. The blood provides you with oxygenated blood and ensures body survival. It is very important. Interestingly, technology today, has advanced to a point in the last 15 years or so that truly, artificial hearts do exist. Artificial hearts have been implanted in adults for some time, and recently the first total artificial heart was successfully used in a pediatric patient for 160 days until he was able to receive a living heart transplant. I have never heard of brain transplants. I however opine that for normal living the brain is very important but at the point of transition of life, I would choose the heart. Araromi Oluwatobi Emmanuel, a writer and poet, is a member of The NELOC Team.